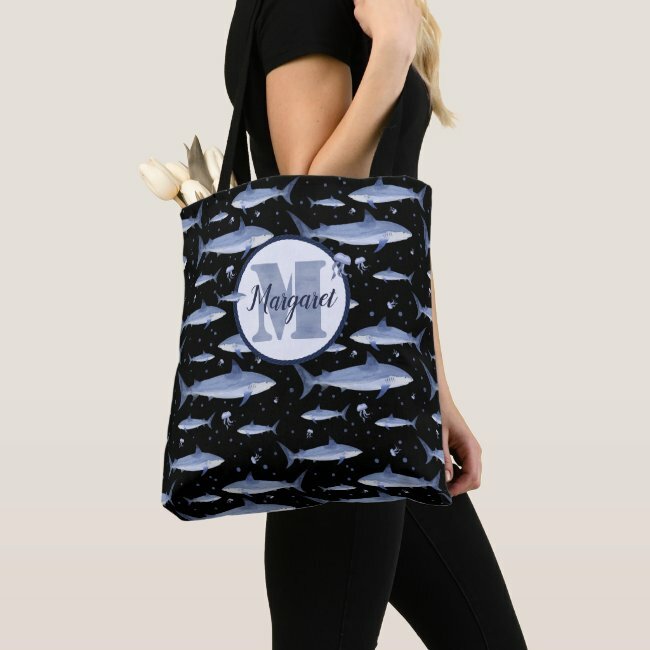 You Name + Watercolor Monogram Shark Jellyfish Black Tote Bag | See your own name and monogram right on your screen, before you buy! It's a fabulous time to celebrate #SharkWeek with a new tote bag. ;) Come see! Artwork designed by .⚓. Nautical Boutique Co.. Made by Manual WW in Hendersonville, NC. Sold by Zazzle.